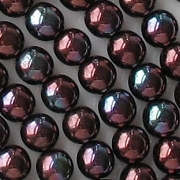 Colors/description: Dark opaque reddish-purple beads with a blue/aqua irridescent or "iris" coating on part of each bead. Comments: My picture above isn't very good because the light reflections are too intense. 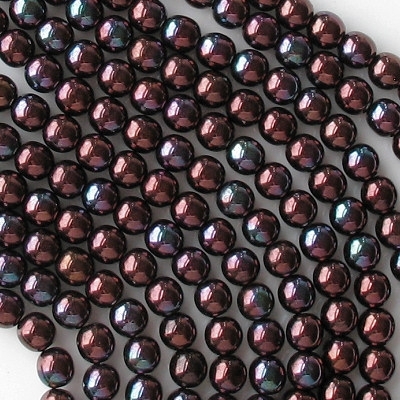 If you can imagine the beads below with a hint of dark blue on part of each bead, you'll get an idea of what they look like. 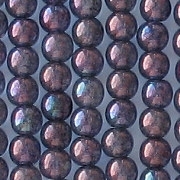 When I carried these beads before, they did indeed look like the beads below (although perhaps a little darker), but the new batch has the added blue. Personally, I like the added blue. 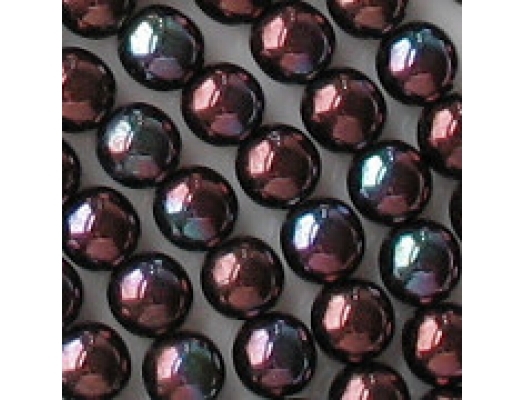 It makes the beads look a little like the purple iris color, but the multicolored effect is more subtle.